Mustang's new products include the ACCEL100 Fishing Vest and Catalyst Flotation Jacket, both designed for serious users in the marine industry. Mustang Survival will reveal its new 2012 product line at ICAST 2011. Mustang's new products include the ACCEL100 Fishing Vest and Catalyst Flotation Jacket, both designed for serious users in the marine industry. The ACCEL100 is designed to be the fastest fishing vest on the market, with 100mph dynamic speed-ratedconstruction. Tested by professional anglers, the ACCEL100 is designed specifically to meet high speed requirements without sacrificing comfort. With enhanced comfort features such as a new segmented foam design for improved comfort while sitting, a fleece-lined collar and fleece-lined hand warmer pockets, the ACCEL100 blends functional safety with luxurious comfort. With a revolutionary design, the brand new Catalyst Flotation Jacket leads the way into the next generation of flotation clothing. The new design is based on the proprietary M-Tech Comfort System?, providing unparalleled range of motion, waterproofing and breathability. 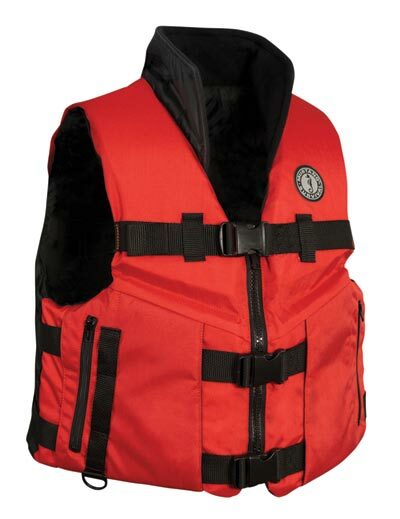 The feature-laden Catalyst Flotation Jacket was field tested by patrol units, fishing lodges, and Mustang pro-staff before the design was finalized and will be available with USCG approvals in the fall of 2011. No other jacket on the market offers the same level of flotation and wearability as the Catalyst. Updated designs of Mustang's popular HIT? and Deluxe inflatable PFDs will also be introduced for 2012 and showcased at ICAST. "We are extremely excited to be launching two new products and re-introducing our market-leading inflatable PFDs at ICAST 2011," said Shannon Gallaugher, Business Development Director, Recreational Products, Mustang Survival, "Based on extensive research and field testing with our key users, our product engineers have integrated innovative technology to further improve product performance and wearability. Our users will no doubt find superb performance and comfort in our new ACCEL100 fishing vest, Catalyst Flotation Jacket, and HIT? and Deluxe inflatable PFDs." This year's ICAST show will be hosted at the Las Vegas Convention Centre from July 13 - 15. To view the new ACCEL100 and Catalyst Jacket, visit the New Product Showcase at ICAST or stop by Mustang Survival's Booth 2127.